2017 model 4 berth 2 bedroom holiday home. Had a very lovely family catch up weekend. The weather was dramatic and stormy then glorious sunshine. The view from the caravan is magnificent, always changing with the tides. We enjoyed watching seals, seabirds and passing fishing boats. 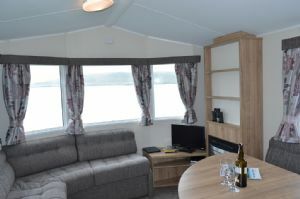 We had 2 adjacent caravans, the living area was spacious enough to accommodate 8 adults from both caravans which was lovely. Shower was great, beds comfy, caravans are well equipped. We had a lovely stay enjoying walks on the island and visiting the Atlantic Islands Visitor Centre at Cullipool where we had an excellent dinner. The caravans are quite new (2-3 years if memory serves right) and in perfect working order. Scottish weather didn't permit a daily BBQ so we had to cook and fry indoors and were very impressed with the quality pots and pans. the shower runs of the gas boiler and is very good which is an important part after a days kayaking in bad weather. The double bed is very comfy, so my paddle buddy (192cm, 100kg) assures me, the twin beds in the little bedroom could be a tad wide and if you're over 180cm (6ft) you might hit the wall. But that I knew and slept well anyhow. The old creaking bones permitting we might be back for another weeks sea-kayaking and finally get to the Garvellachs, with a bit of support from the tides and good planning there is a change to return to Sunnybrae via Ellenabeich for a then well earned pint and maybe a little dram in the "Oyster Bar" before the final 20min leg home! 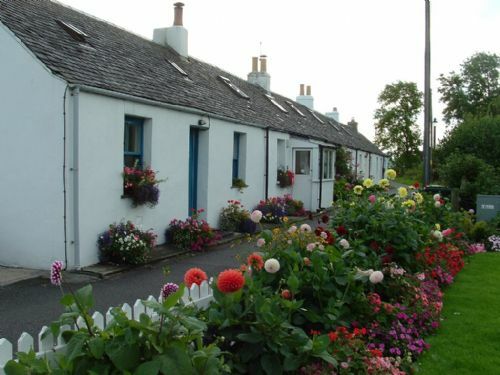 Sunnybrae caravan site is a very well managed, clean and quiet site. including most days Otters. 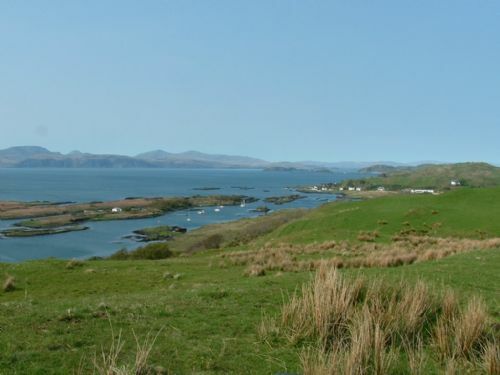 Lots of interest in the immediate area off the island. Beautiful surroundings and quiet location. We stayed first week of August 2018 saw seals otter herons and not a single midge! Small site with 8 caravans well spaced out. Ferry easy to use, we bought 'special offer' of 5 return tickets £28 for the car and £7 per passenger so a total of £42 for the week. 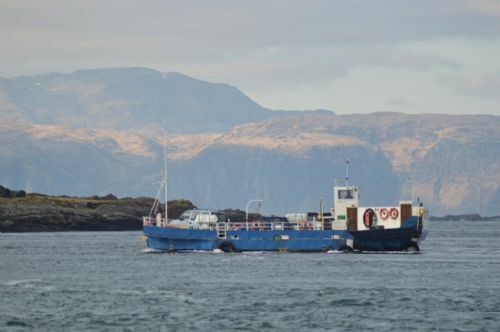 See Cuan ferry web site for timings - never had to queue for it always got on it first time - it only takes 5 mins to cross so it comes back if any extra cars want to cross. Atlantic centre worth a visit in Culipool about 2 miles from the site for lunch/views across to Mull and the Atlantic. Besides the wildlife actually saw young children down their iPhones and fish for tiddlers in the Sound by the site. Stay here - its worth it. 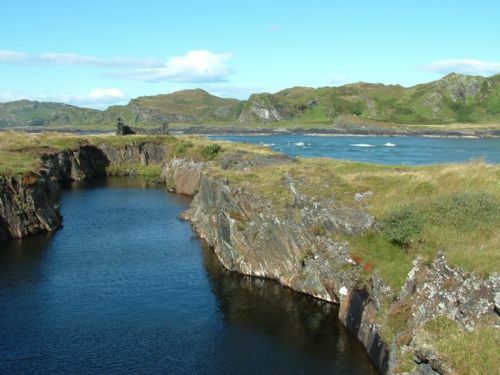 What a great place to stay - right on the sea with seals and all sorts of seabirds to be seen right outside the window. The views on the clear days to other islands were stunning, too. 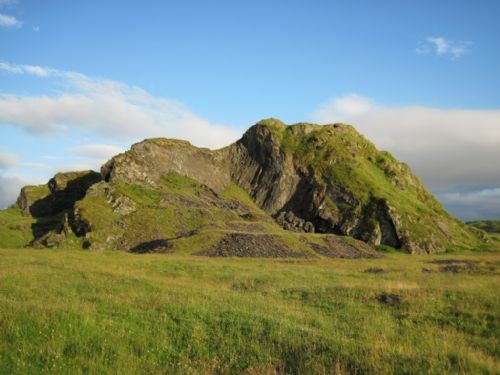 Luing is a beautiful, quiet spot with plenty of great scenery - but don't come for the nightlife! (The latter a positive benefit in our view). 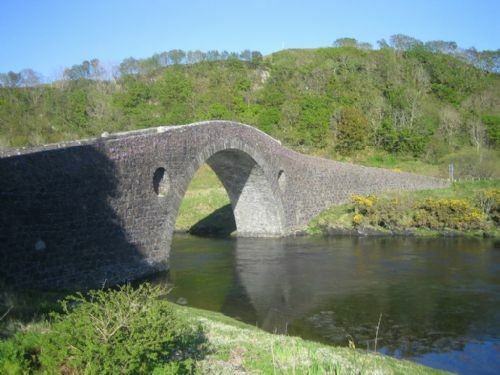 It's easy to get to the mainland via Seil island with the regular ferry services, which only takes a few minutes to cross, and Seil is connected to the mainland by an interesting old hump-back bridge. 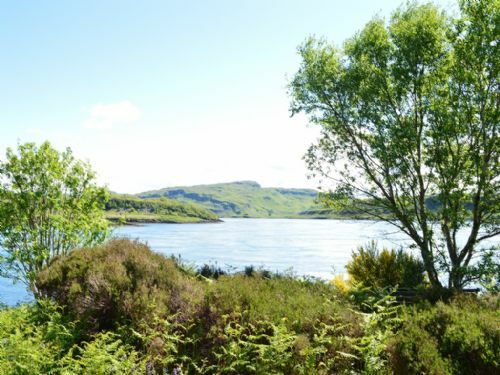 We enjoyed the bike hire facility at the site and explored the island that way, mostly leaving the car on the Seil side of the channel (cheaper to use the ferry as foot passengers), since the site is right by the ferry. The caravan itself was clean and modern and well-equipped with everything we needed. 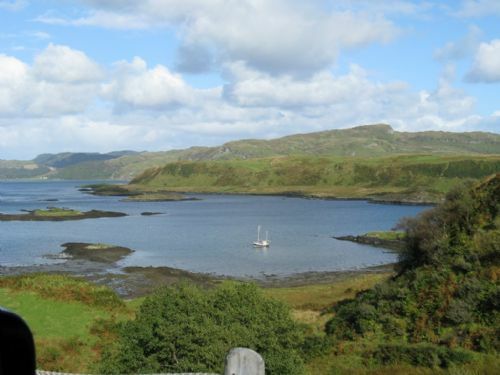 Oban is about half an hour's drive away and is a great little town. Wonderful location, peace and quiet. Great for wildlife. This was our second stay at Sunnybrae. 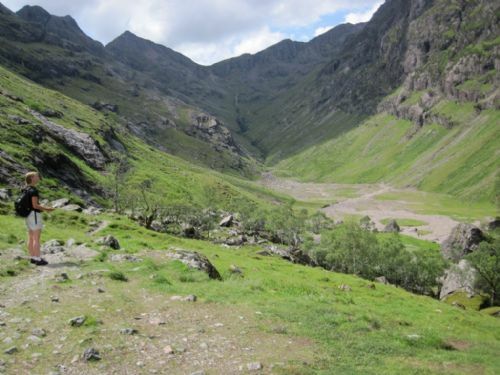 It's a great place to get away from it all and wonderful for wildlife watching. Very comfortable accommodation, very helpful hosts. We were lucky with the weather, but even if it is raining you can still watch the tide going in and out...could watch all day! 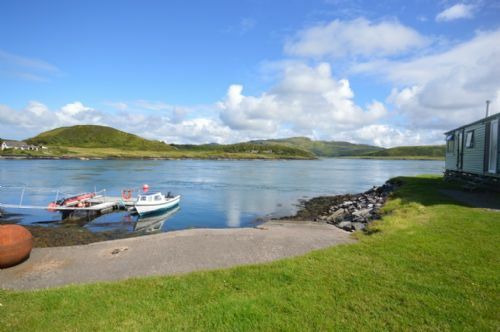 The site is in a stunning location, you literally feel as though you are sitting on the water. 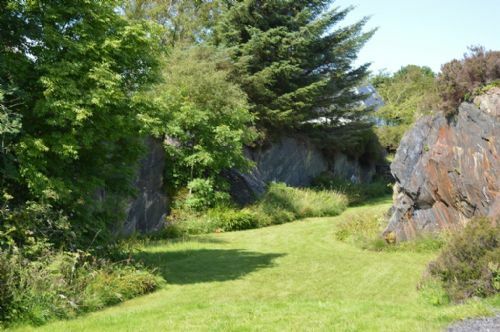 The site is immaculate and maintained to a high standard through out. We were within touching distance of our pontoon, which was ideal. Perfect for our needs, thank you. 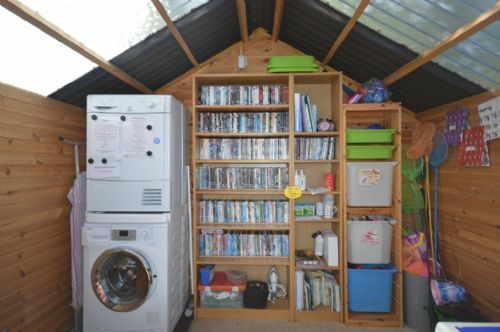 The caravan was very cosy with everything you need. 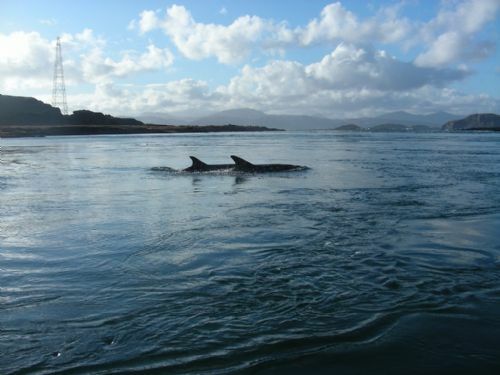 The views from our caravan is brilliant we seen dolphins swimming a matter of metres from the van. Excellent views and lovely paecefull holiday. Our third outing for a weeks sea kayaking and again had a whale of a time - even though we didn't see any whales, but seals, otters and sea birds a-plenty; the caravan was all new and shiny and when the gales blew and the rain was drumming on the roof one couldn't feel cosier sitting near the fire with lil' drum and overlooking the Cuan Sound in it's ever changing conditions. Mike and Jenn are there when needed and always given us a warm welcome. the only little niggle is the single beds are about 2ft wide but that's caravanning I reckon. 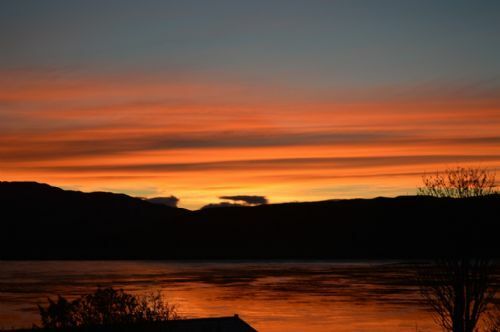 A perfect one week break in with stunning, beautiful views and peaceful surroundings. My brother and I stayed at the Otter with the hope of doing some Kayaking, photography,fishing and walking. It far out-weighed my expectations - it did not disappoint! The "otter" caravan was perfect, clean and comfortable. 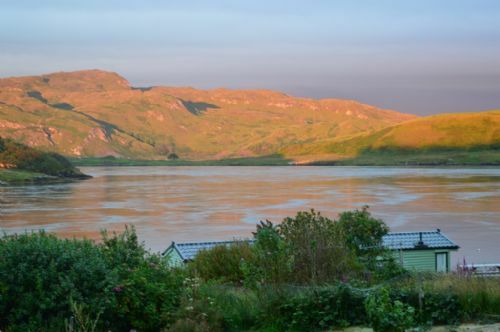 The views outside the caravan window, looking out onto the sound, was a joy to wake up to every morning. 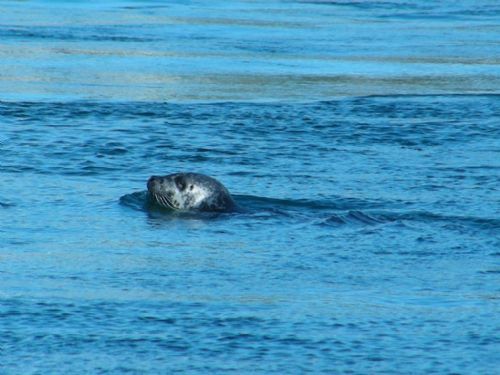 The Seals, fish, the sea birds diving into the water - feet away from us - just lovely! 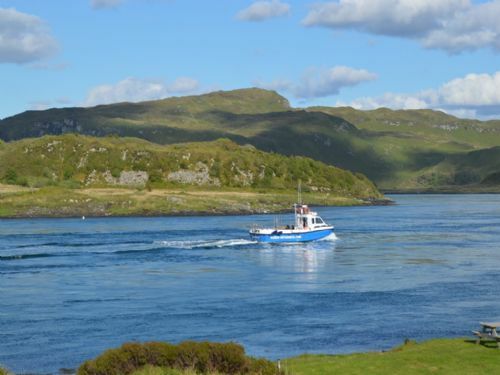 If you like nature, stunning views, tranquility, easy access to loads of facilities via the 5 minute ferry ride (although there is enough to do on the Island itself) - your going to love this place. Don't expect decent mobile phone coverage though! I was glad not to have any one calling me- a blessing in disguise whilst on holiday. Mike and Jen are perfect hosts! Was sad to go back home! Wonderful caravan park run by a lovely couple. Otter had the best view of the water. Spent hours sat looking through binoculars watching seals and cormorants and lots more. 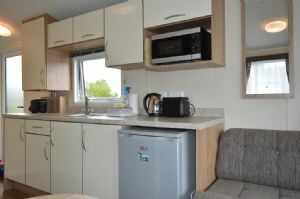 Excellent brand new caravan with everything you need. Lovely fresh eggs. Right next to the ferry. Great island to explore. 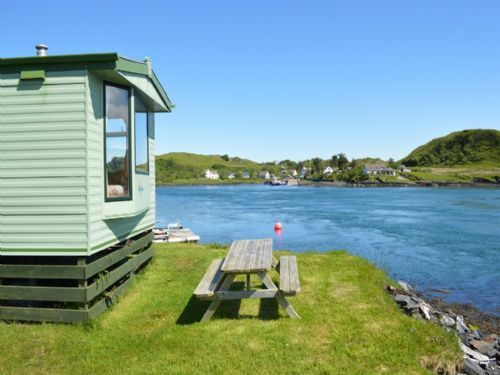 Stayed for 1 week, weather not too good but the views made up for that, site is kept very well.Would like to return again, caravans are very comfortable and very clean.The Atlantic Centre is a must to visit and the food was very good scallops cooked to perfection . This was our fourth time at Sunnybrae. We never tire of this place, and will return again. The site is beautiful, and there is always something to see from the caravan. This was our second visit. Will we be back again? You bet we will. 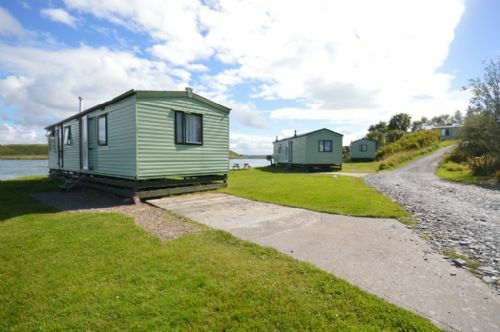 Excellent views, location, quality caravan, peaceful, surrounded by nature. Absolutely outstanding location, otters and seals came to visit every night right outside the van. Mike and Jenna came to meet us as we were running late. Just what we all needed, secluded, peaceful, idyllic location to do nothing! 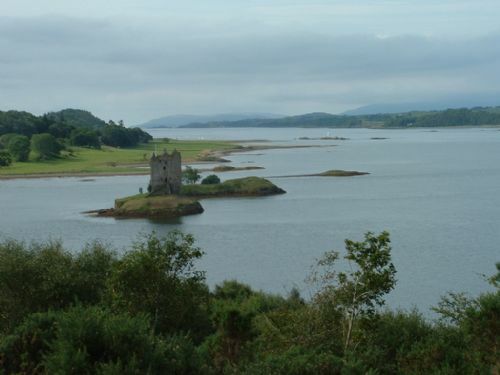 We drove around the island as well which was well worth it for more exceptional views. Having the other activities on hand was also a bonus however we didn't choose to do any this time due to some health issues but we will definitely be back and will recommend to all our friends and family x our friends visiting g with us from Australia gave it ten out of ten !!!! Everything was as described to us by friends who recommended it. The waterfront location was excellent. We had good weather and found it a wonderful p!ace to walk and to relax. We will go there again. Everything was just perfect. We would return as this is the best park we have stayed at in the UK !!! The van was clean and fresh, with all the equipment a family could need. The location and views are wonderful! Mike is approachable and friendly. The site is well maintained and peaceful- we had a brilliant, relaxing holiday!